My first business encounter with the importance of coaching came more than ten years ago during the rapid assessment of a troubled project and already at that time this book was recommended to me, but it wasn’t until I just recently participated in a leadership course that I was introduced to the more core aspects of coaching and actually picked up a copy of it. How I regret I didn’t do it sooner! The author Julie Starr manages to demystify the process behind coaching in this book and it strikes me as being the complete book on the subject – everything you need to know about coaching. If you feel that coaching is a part of your leadership, you need to read this book. 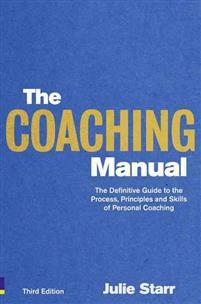 The Coaching Manual by Julie Starr (2010). Prentice Hall. ISBN 9780273740582.